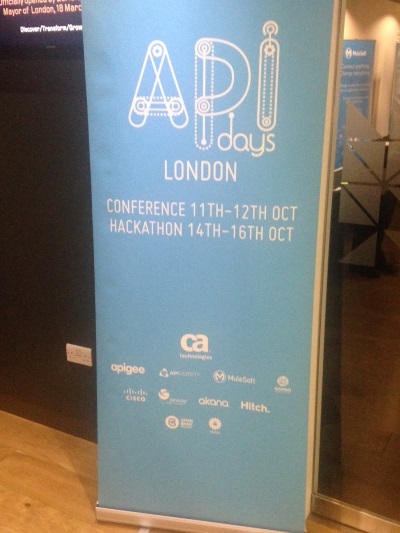 Just coming back from API Days London—#apidays—dedicated to Open Banking & PSD2 regulation. 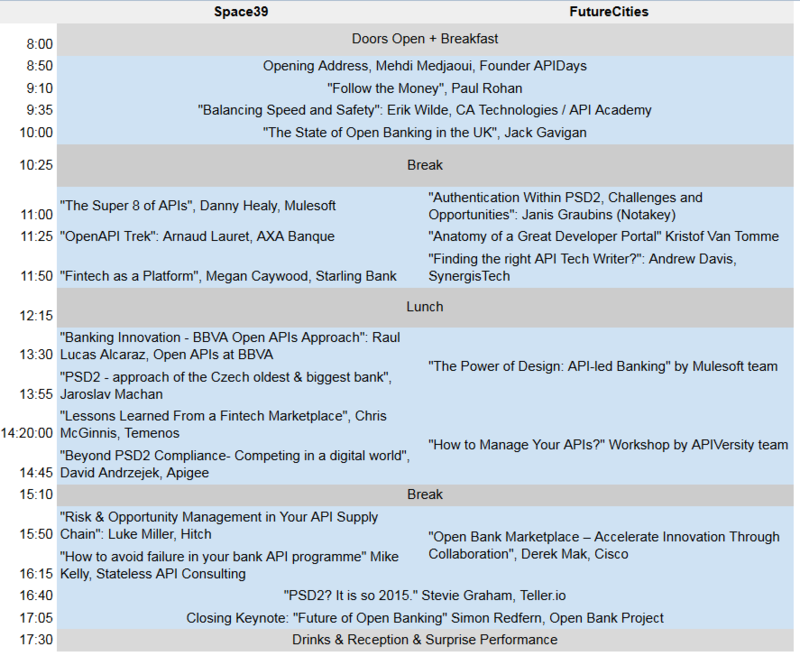 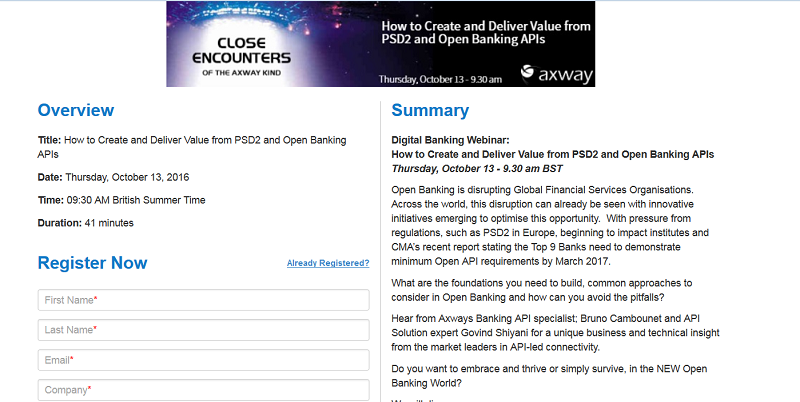 This was an excellent event with two-full days talking and listening about digital banking transformation with APIs. 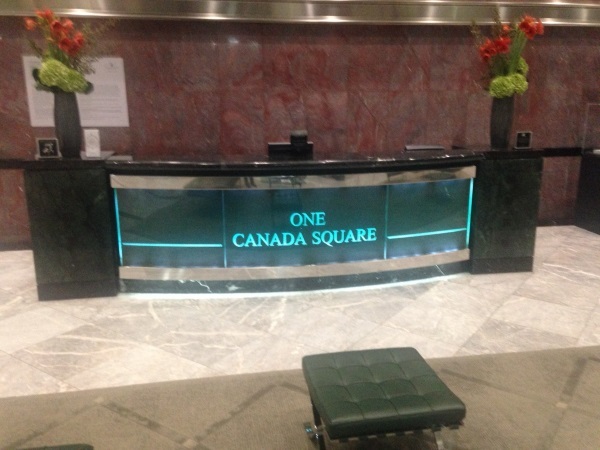 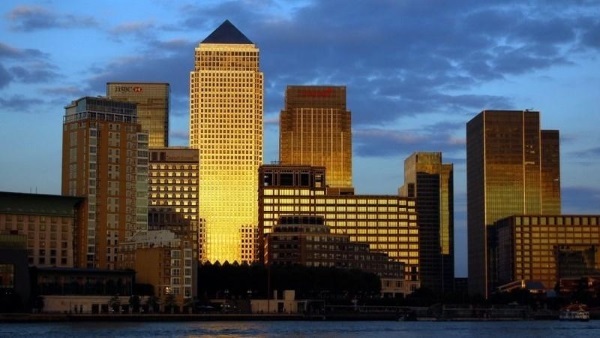 The event took place at the “One Canada Square” tower—in the Canary Wharf business district—which has 50 floors and was the tallest building in the United Kingdom from 1990 until late 2010. 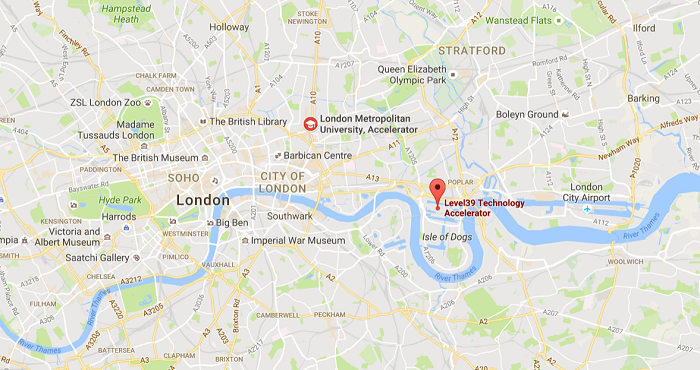 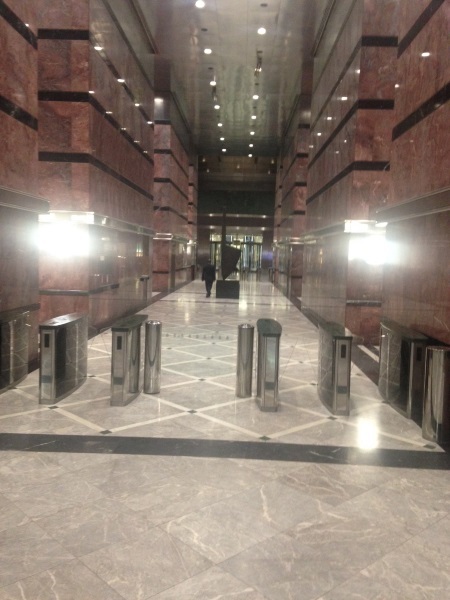 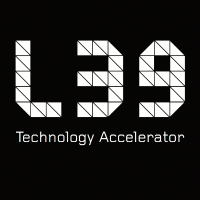 This was more specifically at the Technology Accelerator—Level 39—and was hosted by the Open Bank Project. 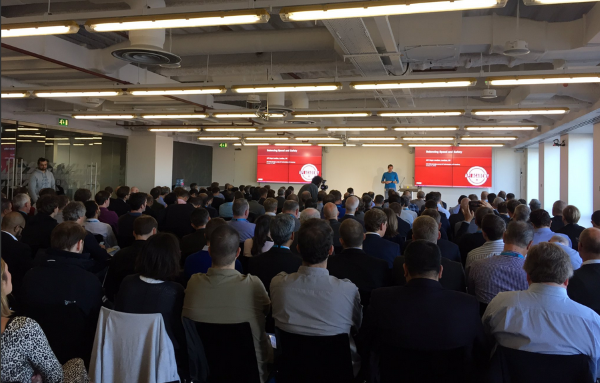 There were two conference rooms hosting the sessions and I must say they were constantly full with passionate professionals. 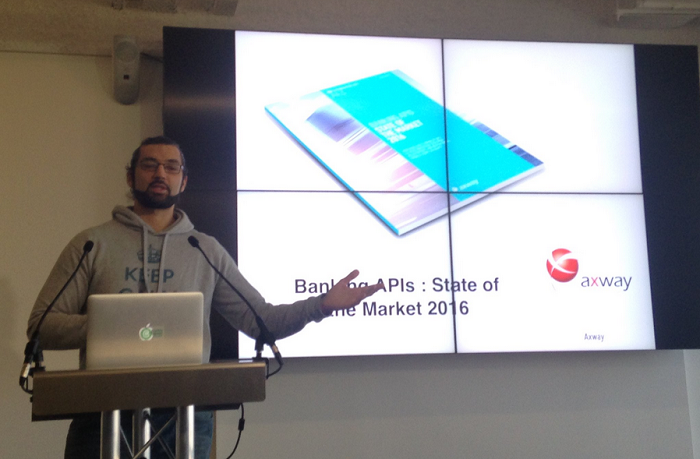 Read an API Days wrap-up event article here.